Determine What Type of Diminished Value You Have Suffered. 1. 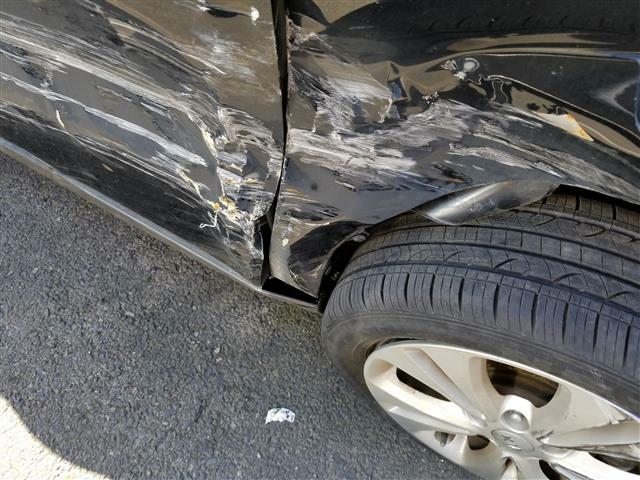 Immediate Diminished Value is defined as the immediate loss of resale value a vehicle suffers at the time of damage, before repairs have been made. This is based on the difference between the Pre-loss Value and the value of the vehicle immediately after a collision. 2. Insurance Related Diminished Value is defined as the loss of value a vehicle incurs due to failure of an insurance company to properly assess and repair a vehicle. 3. Repair Related Diminished Value is defined as the loss of value a vehicle suffers due to improper repairs made by an auto body shop during the repair process. 4. Inherent Diminished Value is the difference in value a vehicle suffers between pre-loss and post-repaired condition after collision damage. This is determined by applying a hypothetical assumption that the vehicle has been completely repaired to perfect pre-loss condition, immediately after the loss. In inherent diminished value, the loss of value is based on the stigma the vehicle now has due to a prior accident history. The year, type, style and severity of damage can play an important part in determining inherent diminution of value. The overwhelming marjority of Diminished Value claims are for Inherent Diminished Value. This is the easiest loss to file and claim. Normally a well prepared appraisal is all that is needed to recover thousands of dollars of lost resale value. Were you at fault? If you were at fault, this is considered a 1st Party Claim, and you are not eligible for diminished value in the State of Oregon. Was someone else at fault? This means someone driving another vehicle other than your own. This is considered a 3rd party claim, where someone else caused the damage to your vehicle. In most cases you have a claim. Hit and Run & Uninsured Motorist claims. 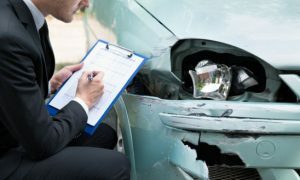 If you have an Uninsured Motorist Property Damage Policy, you may file against your own insurance policy if the at-fault driver was either Uninsured, or an Unknown Hit and Run Driver. Determine if Your Vehicle is Eligible for Diminished Value. If your vehicle is old, tired and damaged, you are probably not going to have a claim worth pursuing. The majority of vehicles worth pursuing have these factors in common. More than $500 in Collision Damage. No Collisions prior to the Last Date of Loss. Your vehicle is more than 10 years old. 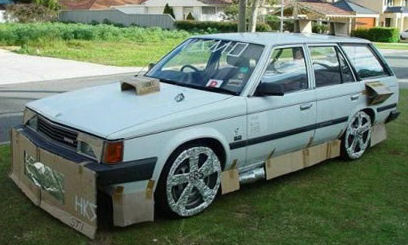 Your vehicle is in less than average condition. Your vehicle has been in a previous accident where your vehicle previously suffered frame or structural damage/labor. You have signed a release of liability form. The statute of limitations have lapsed in the state the accident occured. In Oregon the statutes of limitations for property damage is 6 years. Your car or truck has previously been declared a total loss. Your car or truck has previously been branded a flood vehicle. Your car or truck has previously been branded a stolen vehicle. Your car or truck has previously had any type of brand on the title. Your vehicle has excessive mileage? Normally more than 25k per year or over 130,000 miles. FACT: Oregon does not have a specific law that states that an at-fault driver, or their insurance company has to pay diminished value. FACT: You may file a diminished value claim up to 6 years from the date of loss. Oregon does have excellent caselaw to support a diminished value claim. Caselaw or Case Law (depending on who is spelling it) is law as established by the outcome of former cases. 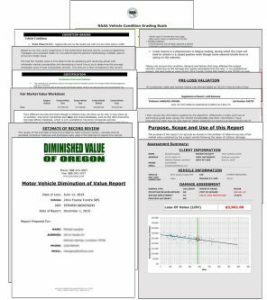 Diminished Value has long been defined and established by several cases in Oregon that have produced a solid basis for Diminished Value Claims. The earliest case in Oregon on record for diminished value is ROSSIER v. UNION AUTOMOBILE INSURANCE CO which was affirmed in September 23, 1930. Then additional caselaw was established again in 1941 with Dunmire Motor Co. v. Oregon Mut. Fire Ins. Co. (1941) 166 Ore. 690, 114. Recently in Gonzales versus Farmers Insurance Company (2008), the plaintiff’s insured vehicle suffered property damage in an accident. Defendants 1 paid for repairs to the vehicle, but the repairs did not restore the vehicle to its preaccident condition. Defendants contended that they were responsible for only the cost of the repairs. Plaintiff claimed that the policy made defendants liable for plaintiff’s entire “loss” and that, if the attempted repair could not restore the vehicle to its preaccident condition, then defendants were responsible for the diminution of the value of the vehicle due to the accident. The Court of Appeals determined that an insurer in these circumstances must restore the vehicle to its preloss condition or, if it could not do so, pay the insured the difference in the repaired vehicle’s fair market value before and after the collision. 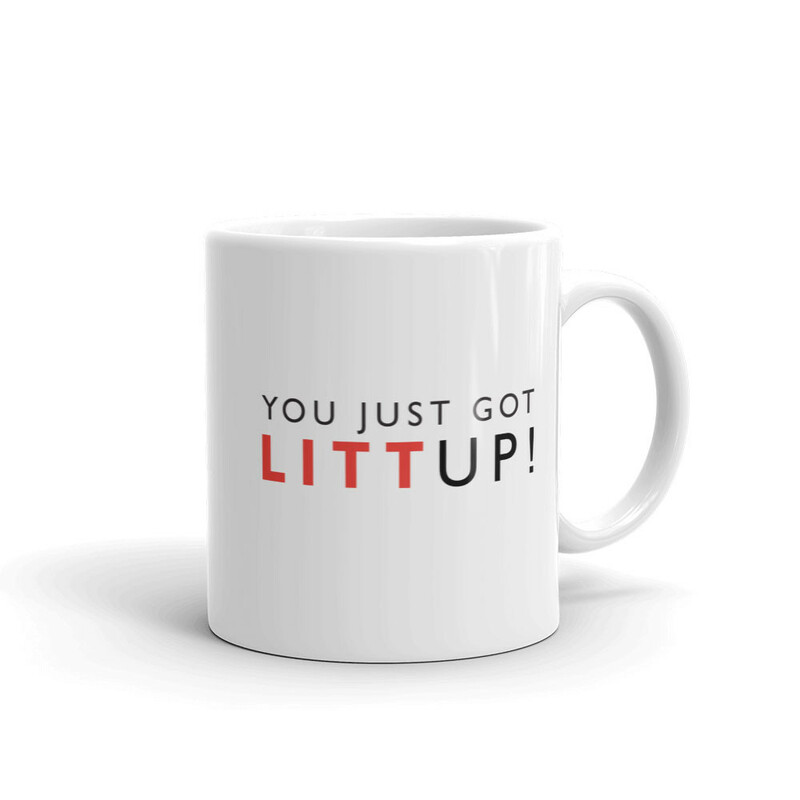 Get the mug from the USA store. Yep, I’m a fan of Lewis Litt. In Oregon, you do not have to use the auto collision body shop that the insurance company recommends. If they try to make you, this is considered steering and is illegal in Oregon. Choose a reputable shop. I suggest not using a shop that has an insurance company representative on the premises as you may not be the person that the shop is trying to please. Request OEM parts is possible. Beware, as the majority of auto body shops will have you sign paperwork stating they can use USED, Non-OEM and Aftermarket Parts on your car or truck without your permission. If required to sign anything, make sure to read the information carefully and if there is a clause allowing them to use USED, Non-OEM and/or Aftermarket Parts request that be taken out of the agreement. Although many auto appraisers want you to contact them after the repairs have been completed, I highly suggest you contact your chosen appraiser ahead of time. Having an inspection before the repairs start can help the appraiser establish if there was a prior collision to your vehicle. In Oregon, an auto dealer can sell you a car with up to $1,000.00 in warranty cost repairs without having to disclose the repairs to you 2015 ORS 650.155¹. This could translate to thousands of dollars in retail repair costs. I’ve seen this many times where the owner has no clue their car was previously damaged and it can severely affect how quickly and for how much you can settle for. If you don’t want to have an appraiser involved yet, I advise you to take as many pictures of the vehicle immediately after the loss as possible. Photograph the front, rear, sides, inside trunk, engine, tires/wheels, odometer, vin plate, the seats, headliner and carpets. You never know when you’re going to be in another accident or if the car or truck can be damaged at the collision center while your repairs are in process. 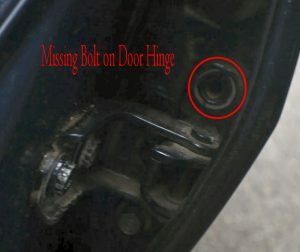 Fraudulent repairs where a shop states they did something on the estimate, but they didn’t. Bad repairs such as Orange peel, dirt in paint, bad welds, not applying paint or corrossion resistant finishes or seals. Improper determination of repairs, such as missing parts that were damaged. Prepare Evidence of Your Loss of Value. In Oregon, the burden of proof is on you. This normally means that you have to supply evidence that you have actually lost value and not been made whole. There are several ways you can establish that you have suffered a loss of value, including preparing evidence yourself. Although, we don’t advise it, as it may appear bias. Most insurance companies will request that you submit a diminished value appraisal from an independent auto appraiser licensed in the State of Oregon. There are many appraisal firms online including appraisers who receive the majority of their work from the insurance companies, similar to insurance companies’ “preferred repair shops”. There are companies who advertise heavily and may produce poor quality reports that may not establish credible evidence. Most are “arbitrary” values based on the car appraiser’s opinion. Unlike Real Estate Appraisals produced in Oregon, that must follow USPAP standards, there is no specific law that states that an auto appraiser must follow any standards when preparing their appraisal. Because of this, sometimes we see very low quality DV reports that fail to produce any legitimate evidence to prove a claimant’s diminution of value. The better the appraisal, the better the chance of the insurance company accepting the credibility of the appraisal and paying the claim faster and for more money. Just because a company prepares the appraisal the same day or within 24 hours of the assignment, doesn’t mean you’re going to receive a faster settlement. Normally the opposite happens. Insurance companies come up with new objections monthly, the more objections addressed in the appraisal, the better the chances that the objection can easily be overcome instead of becoming a reason for the insurance company to make a low offer or even denial. Which, could cause you to go to court or arbitration instead of settling quickly and easily. 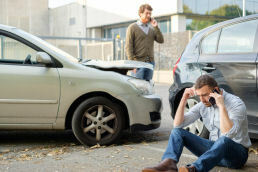 (1) In any action for damages for an injury or wrong to the person or property, or both, of another where the amount pleaded is $10,000 or less, and the plaintiff prevails in the action, there shall be taxed and allowed to the plaintiff, at trial and on appeal, a reasonable amount to be fixed by the court as attorney fees for the prosecution of the action, if the court finds that written demand for the payment of such claim was made on the defendant, and on the defendant’s insurer, if known to the plaintiff, not less than 30 days before the commencement of the action or the filing of a formal complaint under ORS 46.465 (Time and place of hearing), or not more than 30 days after the transfer of the action under ORS 46.461 (Counterclaims). However, no attorney fees shall be allowed to the plaintiff if the court finds that the defendant tendered to the plaintiff, prior to the commencement of the action or the filing of a formal complaint under ORS 46.465 (Time and place of hearing), or not more than 30 days after the transfer of the action under ORS 46.461 (Counterclaims), an amount not less than the damages awarded to the plaintiff. If the insurance company makes an offer that is acceptible to you, you’re done. If not, you may choose to file a lawsuit against the at-fault driver. This may be decided in Arbitration, Court, or out of Court. Ken Nix is an appraiser only and does not offer legal or tax advise. The information presented at this page and site is for informational purposes only and should not in any way be construed to be legal advice. If you are in need of legal advice, you should seek the help of a qualified attorney in your area. This site is not intended to solicit clients outside of the State of Oregon. Laws vary by state and you are urged to research the specific laws and your rights within your state.